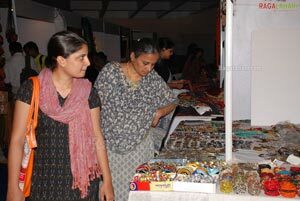 Village Arts &Crafts Foundation organized Silk and Cotton Fashion Spectrum Expo 2011 at SatyaSai Nigamagam, Srinagar Colony.Hyderabad. 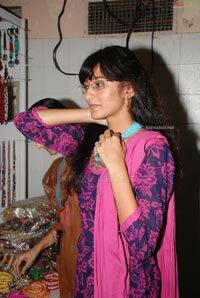 Expo will be continued upto 20th September 2011. Actress , Akasame Haddu Movie Fame Panchi Bora & Actor Rajeev Koti was inaugurated exposition by lighting the lamp. 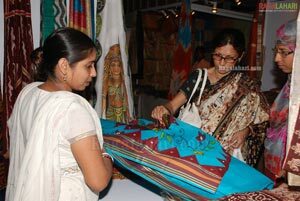 Traditional Indian artistry is dying due to modernization, our aim is to promote best artisans by putting up Exhibition, through such events more than 10 thousand artisans families get benefited every year. The artisans from different states are going to showcase their art & sculpture’ Mr. Ashish Kumar Gupta, the Secretary of V.A.C.F Said on this Occasion. 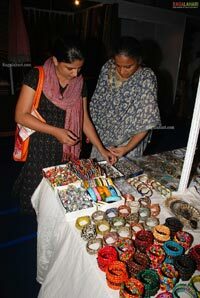 The exhibition is showcasing the best silk & cotton products made by the best artisans of across the country. 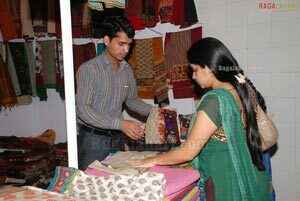 Gadwal, pochampally, mangalgiri sarees of Andhra Pradesh. Tussar and matka silk from Bihar. 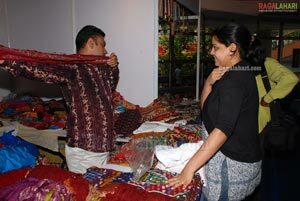 Embroidered silk sarees, pashmina shawls of Jammu & Kashmir. 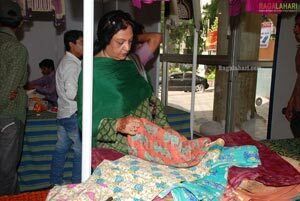 Bandhej silk sarees, block print, sanganeri print, cotton suits, bed sheets, cushion covers & dress material of Rajsthan. Jamdani & jamavar silk sarees of Uttar Pradesh. 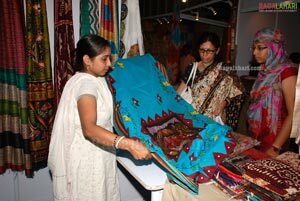 Bagh printed silk sarees, chanderi and maheshwari sarees from Madhya Pradesh. Kosa silk of Jharkhand. Kasauti work of Karnataka. 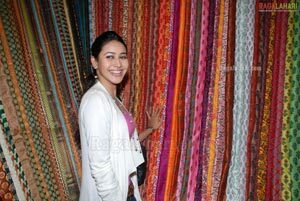 Munga silk of Assam. 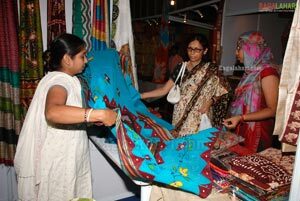 Kosa silk of chhattisgarh and much more products of home furnishings and lifestyle accessories also displayed in this expo.